As appraisers we tend to see the world from the perspective of what we are exposed to. Our sources of information come from those that derive a profit for us, through the sale of software, subscriptions and dues. 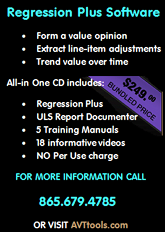 Software providers, appraisal organizations and vendors tend to focus on the mainstream of our work . . . the lending industry. These companies allow us the ability to discuss the applicability of their service as it relates to their revenue generation. As we squabble over our ever reducing source of our own revenue and discuss applicability of BPO’s, AVM’s, AMC’s that compete on the basis of fast and cheap services More so than not our conversation of what are the minimum acceptable standards are, what are the expectations of our clients, and what is legally correct as oppose to prudently correct get emphasized. Although the opinions and explanations of our leaders sometimes creates even more confusion based on the answers and interpretations we receive. Even more frustrating many times the opinions of our leaders tend to reinforce their own revenue stream or the revenue stream of their association. "Because most appraiser revenue comes from the lending industry, we tend to overlook the niches in which the quality of our analysis, the reliability of our reports." That said, there are other markets, niches we can provide that are not so concerned with prices, speed and cost. They are more concern with accuracy, reliability and professionalism. Appraisers can extend beyond the mainstream of the industry, to capture a market by doing what we do best. Gather information and coming to a conclusion. My personal quest to determine how can an appraiser sell quality? This search brought me across Gary Crabtree’s site http://www.affiliatedappraisers.biz . I asked Mr Crabtree if I could interview him for this article and he agreed. The result of our conversation is posted below. Webcast - Market Conditions Analysis - Part 3: What is a "Market Bubble"? Webcast Author: David A. Braun, MAI, SRA (President, Braun & Associates, Inc.) has been actively engaged in real estate appraisal, review, and consulting since 1976. David is also the author of Appraising in the New Millennium - Due Diligence & Scope of Work, 3rd Ed. David Braun, MAI, SRA has been working with the a la mode, inc.'s Labs Project on the development of a new Market Conditions Analysis (MCA) form that runs in Excel. What are some methods of performing a market analysis? "Now the best way that I can describe what happens is by telling you a story about when I was young. 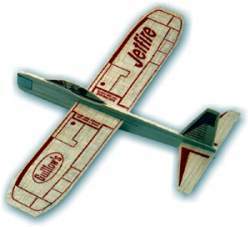 We used to have these little balsa wood gliders that we would throw. And, you could set the wings up and back. And, depending on how you set the wings on those, they could go up . . .or they could go down." "Occasionally, we'd set the wings so far to one side that when we threw it, it would go up, and then it would stall . . . and down it would come! " "So that's what I think about. As soon as the activity slows down. . . as soon as that "plane" that's going up slows down, the nose goes up and BOOM! Right down on its tail! An that's what a lot of "Investors" have done now." Webcast - Market Conditions Analysis - Part 2: What IS a "Market"? Webcast Author: David A. Braun, MAI, SRA (President, Braun & Associates, Inc.) has been actively engaged in real estate appraisal, review, and consulting since 1976. David is also the author of Appraising in the New Millenium - Due Diligence & Scope of Work, 3rd Ed. In this second webcast David talks about what defines a "Market" and what components comprise the "Health" of the market. "What is the health of the market? Well, health has to do with something's ability to function and carry out its job!. The job of a market, a real estate market, is to bring buyers and sellers together." "Now, when a doctor talks about your health, a doctor will take "vitals". They take your pulse, your blood pressure, your temperature. They may do all kinds of things to you that you don't want to do, but they have some specific vitals that they check." "What are the "vitals" that you can check to see if a neighborhood is healthy?" Webcast - Market Conditions Analysis - Part 1: Why do I NEED to do a "Market Analysis"? David Braun, MAI, SRA has been working with the a la mode, inc.'s Labs Project on the development of a new Market Analysis form that runs in Excel. Why do appraiser's need to do a Market Analysis? What is a Bubble in the housing market? In this first webcast David makes references from his book Appraising in the New Millennium: Due Diligence and Scope of Work- Second Edition and Fannie Mae's 07-11 Announcement: Overstating Property Values in Declining Markets. David says: "The point of this podcast is to tell you . . .You've got a little work to do!" "You can't just go to our form, open it up and go through a process. You must become competent to do a market analysis through studying books like the Scope of Work book . . . Where you think about due diligence and you think about conclusions . . .and you need to go through your basic principals." Webcast Author: David A. Braun, MAI, SRA (President, Braun & Associates, Inc.) has been actively engaged in real estate appraisal, review, and consulting since 1976.